We know being a Gator doesn’t give you license to lounge on the beach until the next episode of the World’s Largest Outdoor Cocktail Party. That’s why Rent College Pads works to help college students at the University of Florida save time when comparing the best houses near UF for rent. On one site, you can compare all of your UF off-campus housing options to make the process a breeze. Use our map feature to explore Gainesville, FL and find the perfect pad for your next year of studies. Filter the student housing options by the number of bedrooms, bathrooms, unit type & more. Rent College Pads is your number one resource for UF student housing listings. 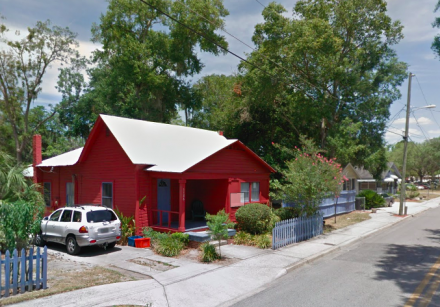 Finding houses for rent in Gainesville, FL near UF has always been a chore. We’d like to make that chore a snap. All of our UF off-campus housing options have been verified and approved by our diligent team. We even follow up with you and the landlord to make sure you have found your perfect house in Gainesville. Because there are so many options to consider before making a responsible renting decision, check out our UF student housing guide. If you’re a student attending the University of Florida with hopes of finding houses for rent in Gainesville, FL you will definitely want to start your search, at the latest, right after winter break. Late in the first semester, Gainesville houses for rent start to fill up for the next year when pre-leasing kicks off. If you need a four or five bedroom house near UF, you’ll have to start before you head home for Christmas. Upon returning to school in January, the number of searches for larger complexes near University of Florida begins to climb and housing quickly starts to fill up all throughout the spring semester. With over 50,000 students attending UF, start looking for a place ASAP if you want to secure the best spot close to campus! Rent prices for UF off-campus housing are overall affordable when taking a few factors into consideration. The larger student housing communities near the UF campus are generally going to be more expensive. However, these places often include a crazy list of amenities, and it is not uncommon for them to come furnished and have a swimming pool on the premises, while also offering fitness gyms and utilities wrapped into the rent price. Opting to live alone is going to be more expensive, but if you get a few friends to live with, it will certainly help to save a considerable amount of cash each month. A lot of the places around campus even offer to help set you up with roommates based on your interests! Finding a house near campus also is a good route to go for saving money, and a lot of the homes are three and four bedrooms which certainly helps to cut back costs. Gainesville revolves around UF so students don’t need to go far to indulge in the best food and bars that the city has to offer. Just off of University Drive is Midtown, a very popular area for students to grab a bite to eat with friends, but even more popular to go bar-hopping. Besides UF being ranked as one of the top schools in the nation, they were also ranked as one of top party schools. When the weekend hits, or you just need a break from studying, grab your friends and let loose! There are tons of outdoor activities to do in Gainesville, so get out there and enjoy the sunshine state! UF owns Lake Wauberg, which is just right off-campus. Here students can gather and play volleyball, BBQ, kayak/canoe, waterski, wakeboard, and tube, all for FREE! Nearby, Bob’s River Place is a watering hole where you can swim, jump off platforms, and use the rope swings and waterslides. Camp at one of the many spots like Ginnie Springs or Ocala National Forest. Lake Chua Trail is a “must-do” in Gainesville. Hiking along this trail to the observatory deck you will encounter wild horses, alligators, bison, and over 100 species of birds! From the hyped-up sporting events, breathtaking outdoor activities, and the countless amounts of places to enjoy the nightlife, students at the University of Florida have endless ways to unwind and are always able to find an interesting way to have fun. Football is HUGE at UF. After all, this is Gator Nation and students bleed orange and blue. All of Gainesville comes together for Swamp Saturday’s to cheer on their football team. There are also over 1,000 on-campus organizations students can get involved in, and if for some reason you can’t find something you like, start your own club! The registration process is fast and simple. Local outdoor activities let students soak up the sunshine all year round. Heading outdoors to one of the many nature parks is a great way to relieve stress and catch some off-campus views. UF even has its own lake for students to enjoy! Located just north of the university, the University of Florida neighborhood is great for students, especially underclassmen who want to be close to the campus action. 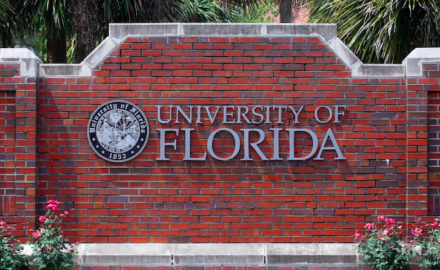 Most of the residents in this area are students or university staff, so if you’re into the college scene, you’ll want to look for apartments near the University of Florida. But there are also many great things about this neighborhood for upperclassmen, too! The area is incredibly walkable, and you probably won’t need a car to live here, which drives down costs, too. The neighborhood is also close to the downtown area, too, so you won’t miss out on any of the great action just because you’re near the UF campus. Downtown Gainesville is a major business district, but that doesn’t mean there aren’t plenty of apartments and houses for students here. The area suffers from some common city issues, such as parking issues and late night noise, but it’s no worse than any other metropolitan area. There’s also lots of public transportation downtown, which is convenient if you don’t want a car or don’t like the idea of finding convenient parking near your apartment. But parking is a small worry when you’re in the heart of the action, where shops, restaurants, outdoor concerts and more exist on every block. 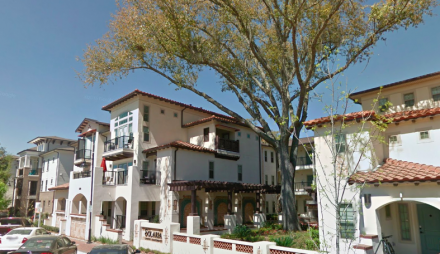 Most of the homes and apartments for rent in Downtown Gainesville are condos or luxury apartments, but there are also quaint houses and economic apartments as well. Situated between campus and Downtown Gainesville, fifth avenue is a unique and vibrant historic neighborhood. It’s home to many of the residential, educational and religious buildings in Gainesville, which makes it a great place to rent a flat or house near UF with friends. One particularly prominent street in the neighborhood, Fifth Avenue Pleasant Street, has been placed on the National Register of Historic Places because of its rich and vibrant architecture. 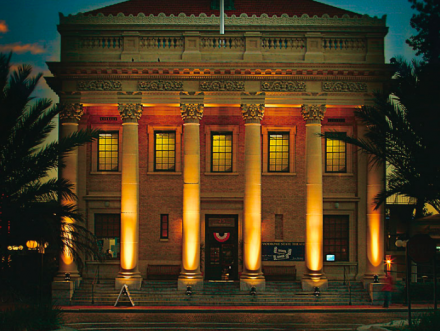 The Fifth Avenue district is a major contributor of culture, history and art to the downtown scene. East of campus and just south of Downtown Gainesville is the Innovation District, a creative breeding ground for young professionals and tech-startup gurus. The Innovation District is unlike any other city district in that it provides resources for both students, faculty and entry-level workers simultaneously. This comes in the form of the Innovation Hub, a resource used by aspiring tech-startup entrepreneurs and professionals in the technology industry to foster collaboration and learning between businesses. It’s also home to lots of great bars, restaurants and apartments for rent near the University of Florida. The entire district is very walkable, too, so it’s a nice balance of living near campus and still experiencing the Gainesville nightlife.